Strip Curtains or sound doors are a  clear vinyl strip curtains that suspends vertically in a door or opening to combat sound bleed while allowing passage through the curtain system. Strip Curtains  are  used as acoustic traffic doors custom cut to fit the cavity size you seek. We include a double layer of transparent curtains, with a 100% overlap to cover the seams. T he universal mounting hardware  will allow you to anchor the  vinyl Strip Curtains  to any wall or door header. Ideal for sound control where access and entry are a must. Strip Curtain systems can be custom cut to fit most any cavity size or door opening and make perfect acoustical doors. The systems ship as a kit, including the mechanical header and the series of strips that then clamp together. The strips come in different width options. For 0-12′ height, go with the 8″ wide strip curtains, but for 12-20′ height, opt for the 12″ width, and for systems 20’ or taller, go with the 16” wide strip system. Use 100% overlap between the front and back rows of the curtain system to maximize sound transmission loss. 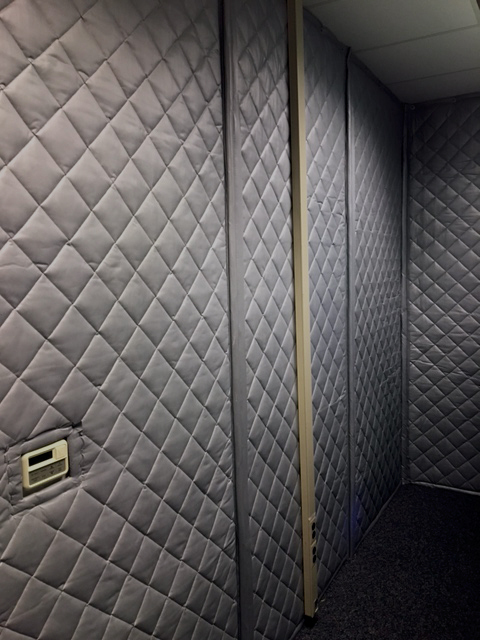 For other room and doorway sound barrier solutions view our full line of sound blankets. Strip Curtains are priced by the square foot. Measure the height x width of your opening and use the table seen here to calculate your costs. Call our help desk at 1-800-638-9355 for questions or to place your order. The only reason you should be considering the Strip Curtain system for your noise control application is if you need to gain entrance and exit through the system. If you do not need full access, or even partial access, consider switch the project over to the QBS Sound Barrier Blankets. These blanket systems offer lower levels of leakage and produce more favorable sound protection. Strip Curtains will come with the header you will need to clamp the vinyl strip curtain into place. Your header options include flush mounting to the side of the header, or directly to the underside of the header. Once the header is anchored in, the strips are individually placed into the header as both a front and a back row prior to clamping the system shut tight. 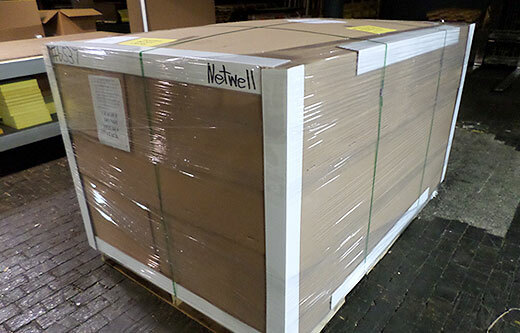 Strip Curtains will ship as kits to your door step, delivered by Fedex for smaller projects, or common carrier for larger projects. For questions related to your treatment, be sure to contact our help desk at 1-800-638-9355 prior to ordering.